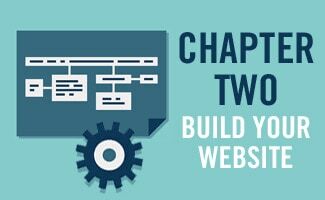 Assuming you’ve named your business, chosen a corresponding domain name, settled on brand colors, and have established a legal and financial foundation as learned in Chapter 1, you are ready to move on to Chapter 2 of our How to Make Your Own Website series. In this chapter, you’ll decide on a website host and platform to power your online business. 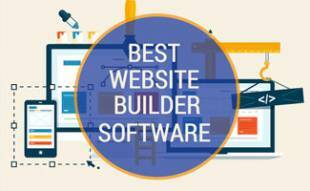 If you have time on your hands and want to maintain more control and flexibility of your website from the get-go, you can skip the website builder article and continue reading. 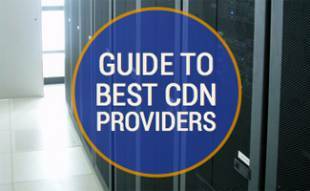 The first thing you’ll want to do is pick out a good hosting provider. Let’s walk through choosing a hosting provider that is both affordable and reliable. A website host provides the hardware that will “host” the files necessary to display your site on the internet. Your domain name registrar, discussed in the previous chapter, will point what’s called a DNS (Domain Name Service) record to your hosting provider, which will in effect “associate” your domain name with your files, enabling your visitors to see your site in their web browser. There Are So Many Hosts, Which To Choose? Within the article you’ll also find a comparison table that breaks down providers by features, price, and reliability criteria. Once you’ve chosen a reliable host, the next important decision to make is the platform you wish to power your site. In the early days of the Internet, web pages were created using simply HTML (HyperText Markup Language) files. These files contained instructions that your web browser would follow in order to display copy, links and images on pages. As the internet has evolved, websites have gotten more complex, programming languages and databases have gotten involved, which allow for dynamic content (such as audio and video) to display on pages, as well as operations to be performed on massive amounts of data. This has enabled large e-commerce sites to run efficiently with a diverse number of products. Phase 3: Make it Look Good! The article includes a comparison table where you can review template providers based on features, reputation, and pricing. For those with larger budgets who wish to create a completely unique experience for their visitors, you still have the option of finding a dedicated designer and developer to create a custom theme based on the web platform of your choosing.